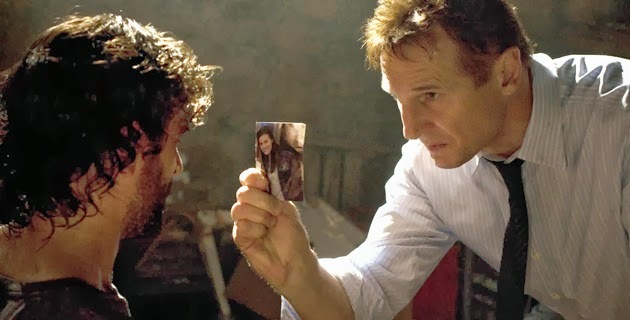 This week, Liam Neeson returns to our screens and our hearts to shout at people, wave guns and solve seemingly impossible mysteries. Given his track record of high level excitement (Taken, anyone? That time he trained Batman, then almost destroyed Gotham? He released the Kraken! ), I figured there had to be some other unknown gem of octane in the many folds of Netflix. 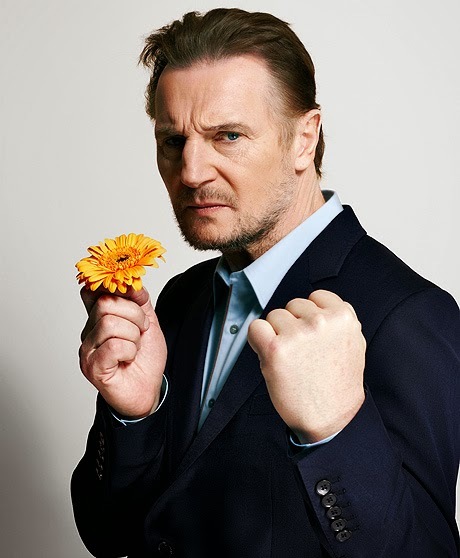 Liam once took down a Mexican cartel for pulling out daisies from his front lawn. 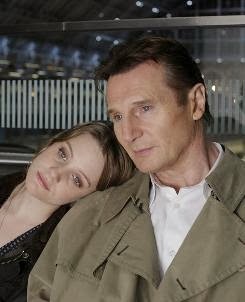 "In this taut thriller, a software engineer Peter (Liam Neeson) and the shoe designer Lisa are successful in their careers and have been happily married for twenty-five years. When Lisa is gone, Peter finds a message in her cellular and decides to snoop her e-mails and discovers in a secret folder named Love that she had a lover, Ralph. 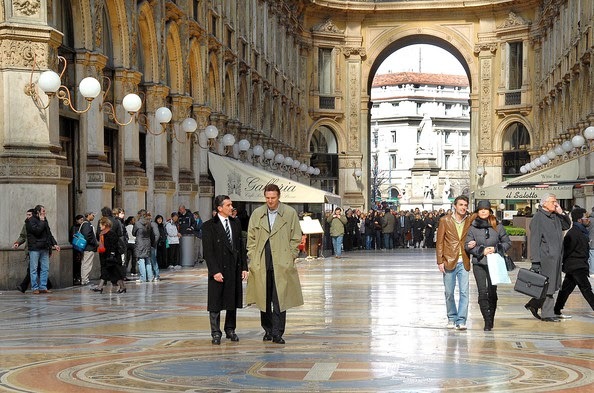 Peter travels to Milano and stalks Ralph; he finds that the man plays chess in a bar"
A taut thriller involving shoe design, international travel and games of chess? Batten down the hatches 'cause its Neeson Season! We open with a fashion show. This movie is going to be like Sudden Death...but with fashion. ...and we see him checking email. You can't accuse this movie of not being action packed. If your actions are limited to frittering away an afternoon. Which Liam does a lot in this movie. I'm sure the movie told me what he does for a living, I just never saw it. Liam writes an email letting his wife's paramour know that she's no longer at this email address. Liam does not know that emails are not like houses. You simply do not move away and let someone else move in to it. Its pretty disappointing to learn that he doesn't know how email works. 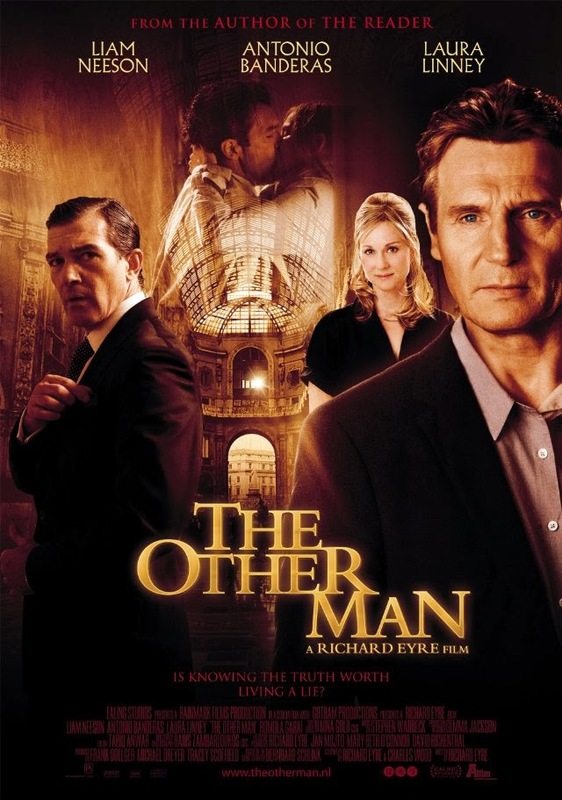 Skip ahead to the story where he goes to Milan to confront the man his wife, Laura Linney is cheating on with. Let the chase and heartpounding action begin! I've never been to Milan, but I've heard its a big city. 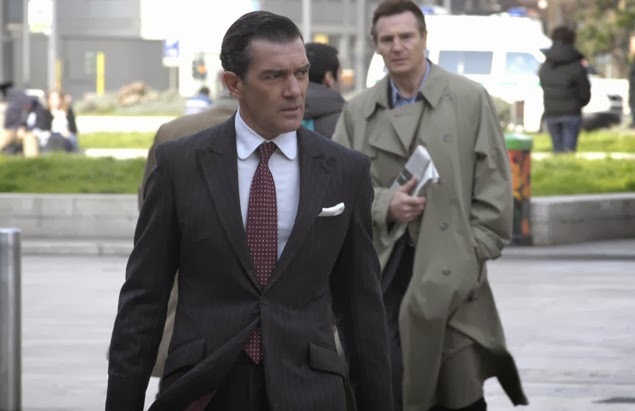 Liam goes from Somewhere, UK to Milan in a day and automatically finds Antonio Banderas crossing the street. Yep, this was the chase of the movie - a casual mosey across the street. 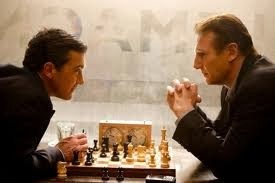 The rest of the movie is a game of chess. Strap in, and forget the airplane. Because THIS is the non stop action you were looking for. And flashbacks. Lots of flashbacks. Like, remember the time she made this face at you when you were telling her an anecdote of what you did with your day? This might have been your first clue that she was moving on to someone else. Someone who enjoys tranquil boat rides for example. 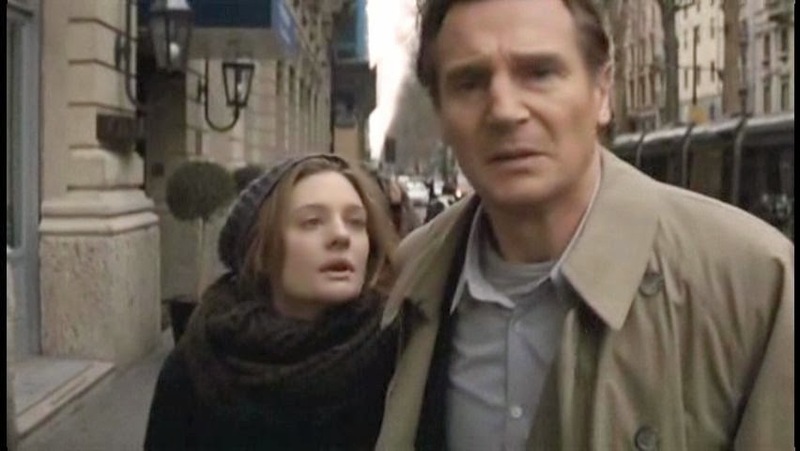 And that time Liam Neeson read a explicit email from Antonio to his wife...to his daughter. Because this is how fathers and daughters bond? Frankly, why isn't Antonio Banderas the action hero in this? He at least goes outside. They like taking creepy pictures together. Remember that time when you just whispered vague emotional promises to each other and it was kind of dull? That's how I remembered it anyway. Needless to say, the chess game doesn't go well. Antonio wins and in the first bit of action after about an hour, Liam throws the board on the floor in a fit of rage. And then they take a walk together. Because this is what men do? Seriously, I'm asking. After some more heartpounding chit chat, Liam sets off to go home, but his daughter has followed him here. Nope. Just moves directly into his exhausted "Emotional processing" face. Which has to be by far, the creepiest picture you could ever take of someone. Liam would never do that to you. NEVER. Because he will shut that DOWN. Find out how to book free flights using Travel Hacking.